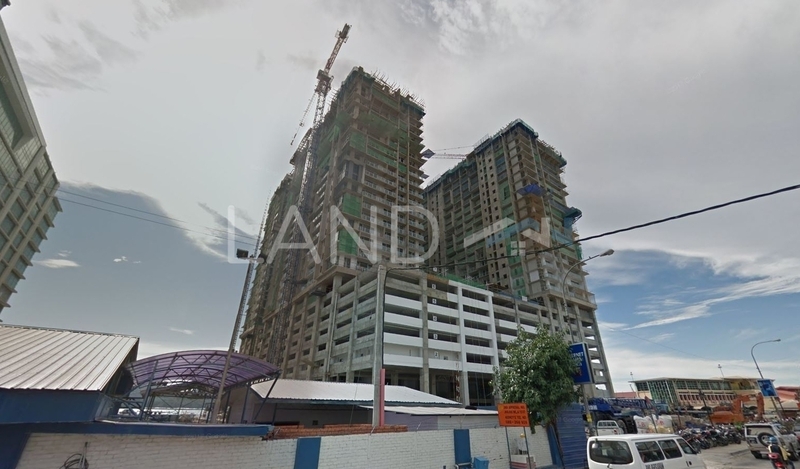 Jesselton Residences is a leasehold apartment located in KK City Centre, Kota Kinabalu. There are 333 units available at this project with built-up from 965 sf to 2,266 sf. It was developed by Jesselton Group with a launch price of about RM630 psf, and was completed around 2015. Jesselton Group is a small-scale property development group, and it has developed only this project in Malaysia. The only amenities nearby this apartment are universities. Some of the universities here include Informatics College and Kinabalu Commercial College. The current market prices for Jesselton Residences are from RM990,000 to RM2,380,000 (about RM1,260 psf); while the monthly rentals are from RM3,500 to RM8,000 (about RM3.63 psf). The highest median price psf ever recorded was RM1,228 psf in Q1 2018; while the lowest one was RM630 psf in Q1 2013. The most popular layout and size combination at Jesselton Residences is 3-bedroom / 1,669 sf with a median price of RM1,260 psf. For price wise, the most expensive one is 3-bedroom / 1,669 sf with a median price of RM1,260 psf; while the cheapest one is 2-bedroom / 965 sf with a median price of RM1,030 psf.